Over Labor Day weekend, I visited the Calvert Marine Museum in Solomons, Maryland. The Museum, which features both indoor and outdoor exhibits, covers a wide range of Chesapeake regional history, including Patuxant Indian culture, the War of 1812, the local fishing industry and of course, Miocene marine fossils. The paleontology gallery, called “Treasures from Our Cliffs”, is nicely done and surprisingly high in production value for the museum’s size. 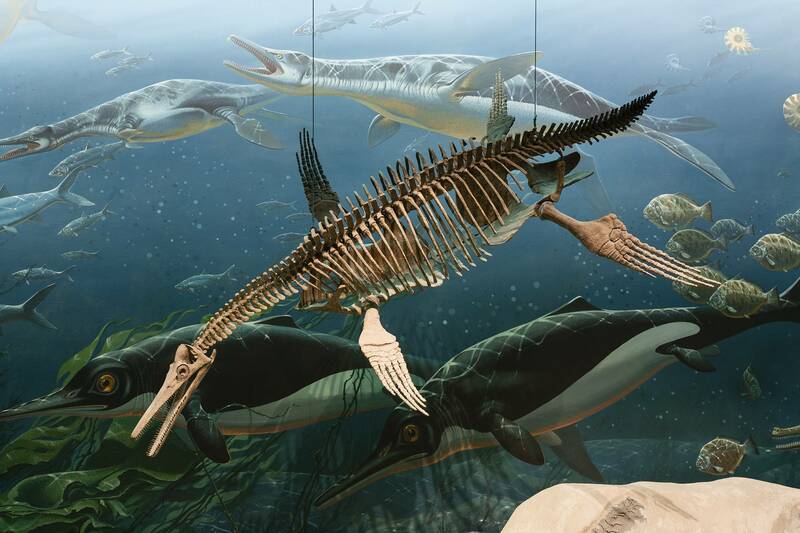 Starting with an extensive entry gallery that places Chesapeake area fossils in a global context, the exhibit also includes fossils of seals, whales, invertebrates and assorted terrestrial mammals, plus a neat recreation of a cliff-side excavation. The Carcharocles megalodon at the Calvert Marine Museum. 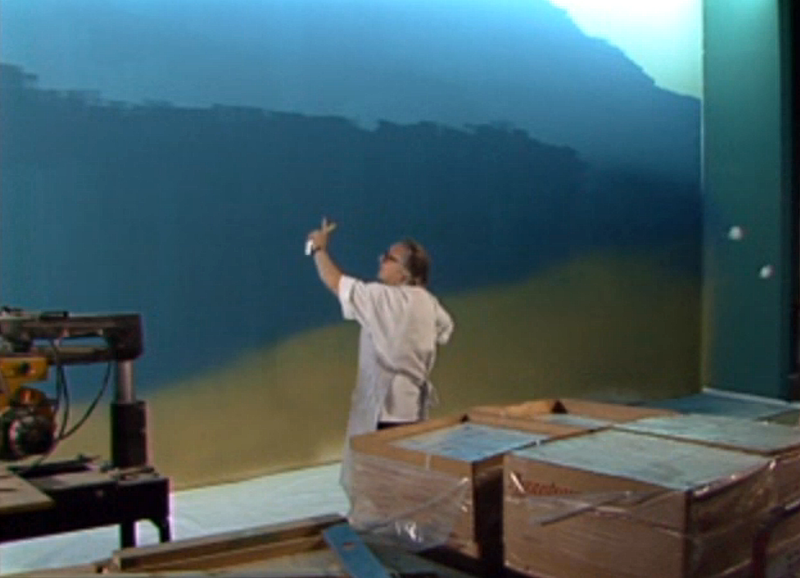 What I want to talk about most, though, is the big foam shark pictured above. 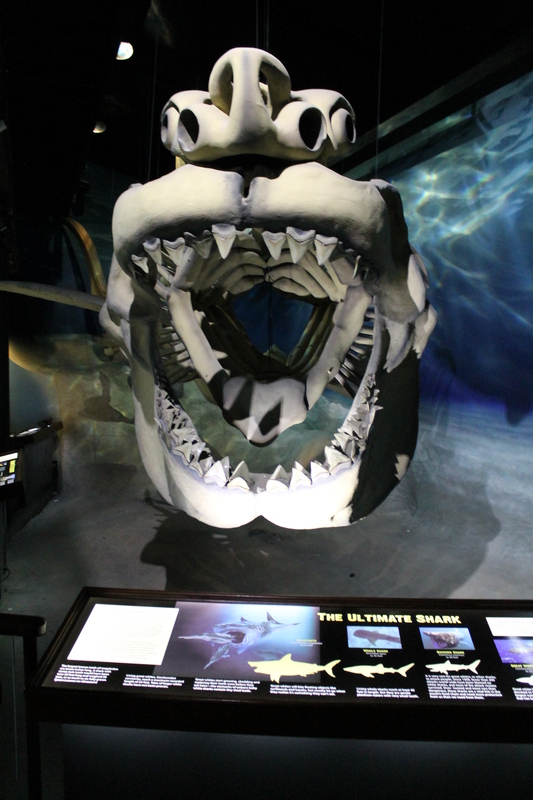 This is the exhibit’s centerpiece attraction, a complete replica of the cartilaginous skeleton of the infamous giant extinct shark Carcharocles megalodon. Since shark skeletons are primarily made up of soft cartilage, most of their bodies are very unlikely to fossilize. While teeth and lithified vertebrae of C. megalodon are relatively common, a complete skeleton can only be created as a replica. As such, the Calvert Marine Museum’s display is a scaled-up model of the cartilaginous skeleton of a modern Carcharodon chararias (great white shark), with a few proportional adjustments based on known fossils. 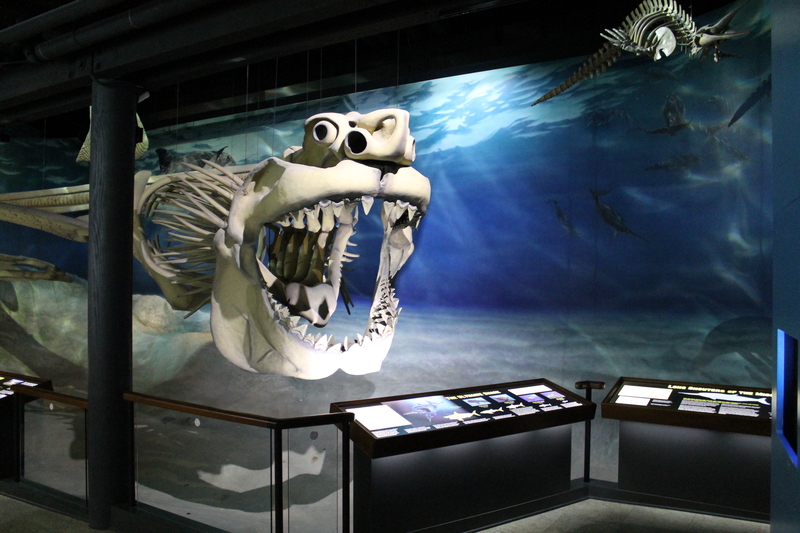 The result is undeniably impressive: suspended over an ocean backdrop, the 37-foot model absolutely steals the show in the paleontology exhibit. Nevertheless, I find it absolutely fascinating that the museum would go to such lengths to create a replica shark, particularly given its substantial collection of original fossils. The foam shark’s existence can be traced to the beginning of the 20th century, when there was a dramatic rush among large urban museums in the United States to collect and mount the biggest and most spectacular dinosaur skeleton that could be found. This fossil craze was largely motivated by the vanity of the museums’ wealthy benefactors, but proved to be extremely productive for both paleontologists and museums. Mounted dinosaur skeletons sprung up seemingly overnight in cities across the country, making names like “Brontosaurus” and Diplodocus household terms and igniting a wave of interest in museums and natural science. As a result of this mounting spree, the public conception of dinosaurs and other prehistoric animals is to this day irreversibly intertwined with its conception of museums. 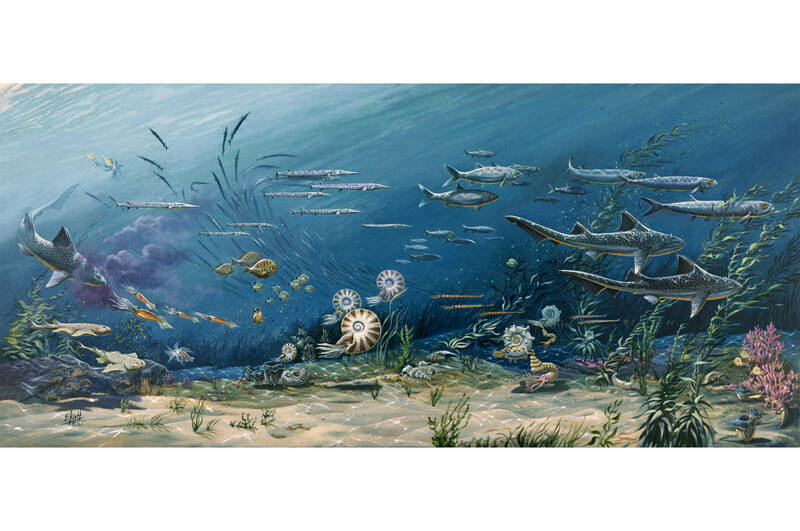 When we think of fossils, we think of grand museum halls populated by towering skeletons. This connection is so ingrained that mounted skeletons have become, in the public eye, the only proper way to display prehistoric animals. 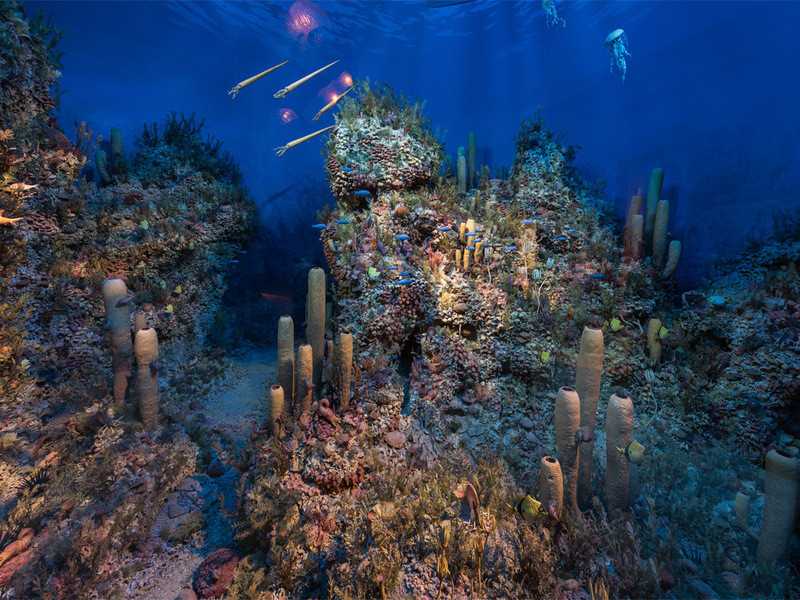 Patrons of paleontology exhibits expect mounts, and museums must deliver, even if it means purchasing a cast from another institution, or in the case of the Calvert Marine Museum, sculpting one outright. A closer look at C. megalodon. It is true that very few museum mounts feature the complete skeleton of a single animal – they are typically composites of many specimens, or have missing parts filled in with casts or sculpted elements (see this SVPOW post on Kyle Davies, who sculpts bone replicas for OMNH). Probably the most important function of a mount is to present fossil material in a format that non-specialists can easily understand and appreciate. They show viewers what extinct animals would have been like in life, and let us perceive them in relation to our own human scale. 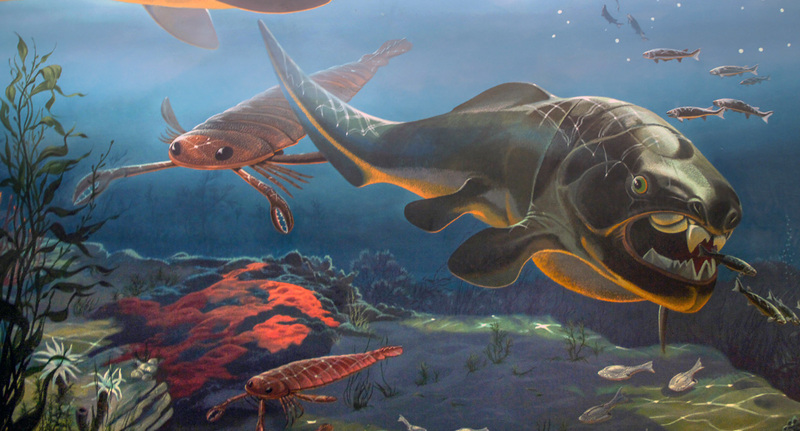 But unlike a mural or life-sized model, which are obviously reproductions, mounts retain the aura of authenticity that comes from displaying known fossils. To display a skeleton is to imply that we are seeing real specimens, or at least replicas standing in for specimens that exist somewhere else. Whether reasonable or not, this is the expectation ingrained by over 150 years of fossil mounts in museums. This means that the C. megalodon at the Calvert Marine Museum is pushing the concept of a fossil mount to its very limit. While this is without doubt a very reasonable reconstruction of what a C. megalodon skeleton would have looked like, only a minuscule fraction of what is on display represents fossils that have actually been uncovered. 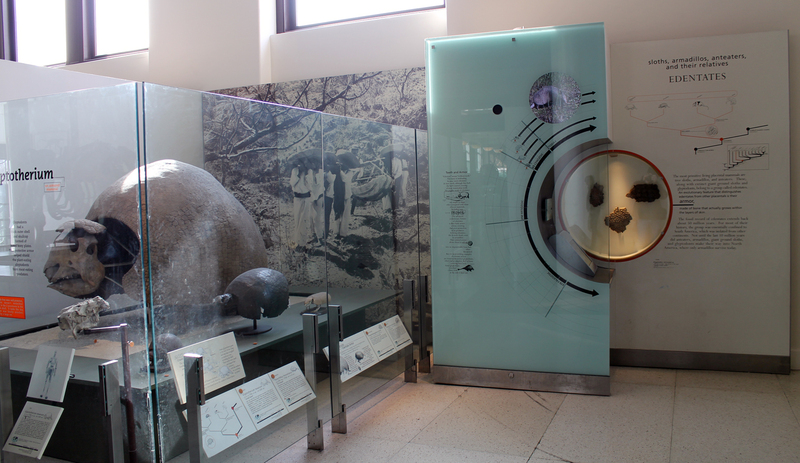 The question is then, is a display like this a misrepresentation of scientific knowledge and the fossil record? Not how vertebrate fossils are found. 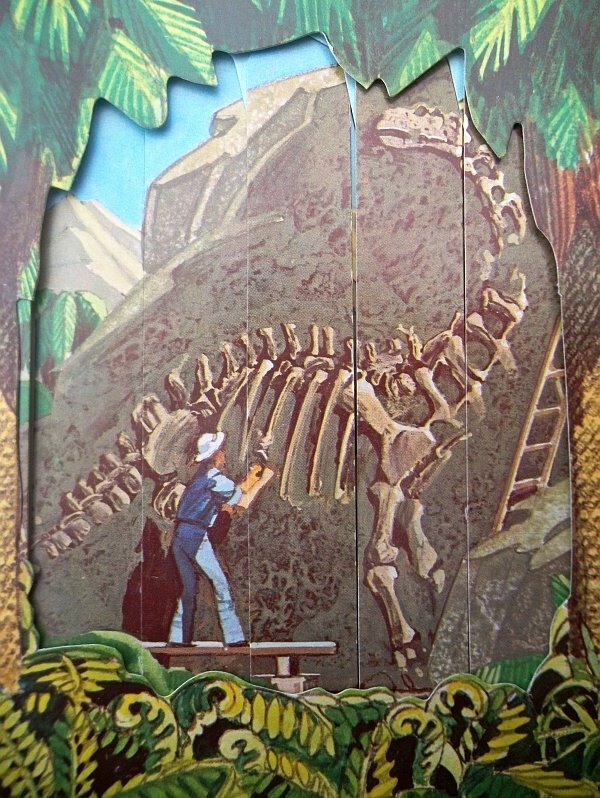 From Dinosaurs: A Prunell Magic Pop-Up Book, via LITC. To the Calvert Marine Museum’s credit, the exhibit signs clearly explain that the C. megalodon skeleton is a replica, and provide a detailed explanation of how and why it was made. 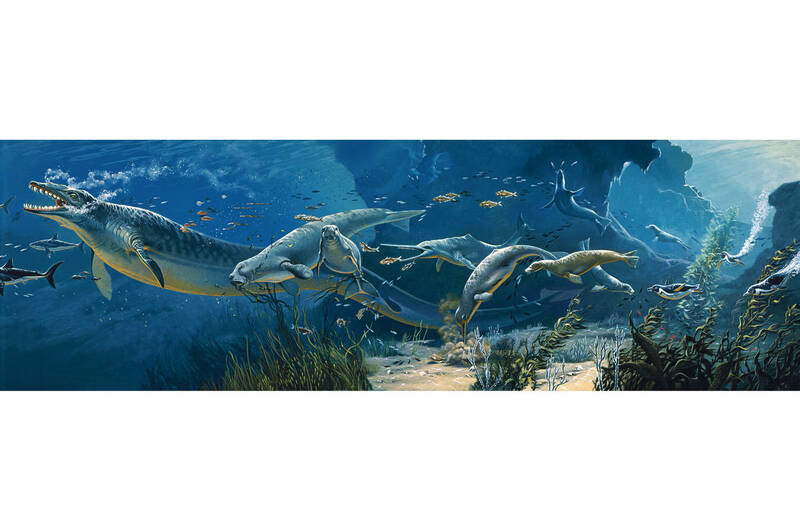 What’s more, the shark mount is merely an extreme example of filling in gaps with probable reconstructions, a process needed to make the construction of mounts of most prehistoric animals possible at all. The field of vertebrate paleontology is, in fact, largely based on the premise that incomplete remains can be understood in the context of other, better known relatives. Then again, if I learned anything teaching undergraduate anatomy, it’s that the concept that vertebrates share a body plan inherited through common ancestry is not widely known. This might be worth considering when presenting fossil mounts in general: after all, mounts primarily exist for the public, not for experts (although see Kenneth Carpenter’s comments on an earlier post). The Calvert Marine Museum’s C. megalodon definitely raises some weighty questions about displays of scientific specimens in museums. In the context of vertebrate fossils, what qualifies as a real specimen, and what is well-supported extrapolation? What role should a museum play when displaying scientific knowledge? Should museums merely serve as repositories for original objects found in nature, or is the goal to provide context and meaning for those objects? Can a boundary between the two be defined at all? A revamp for the dinosaur displays in Hall 2. Courtesy of the Smithsonian Institution Archives. 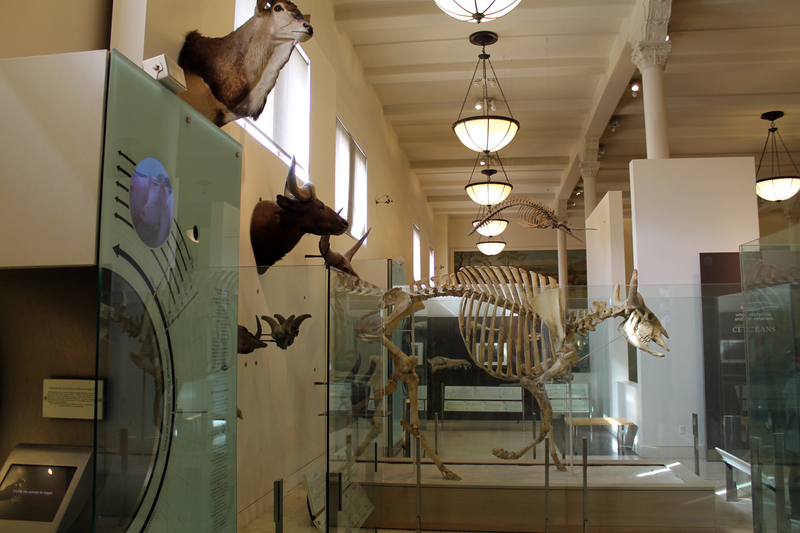 Since the NMNH building opened in 1910 as the United States National Museum, the east wing has been home to fossil displays. Although there have been many small adjustments and additions to the exhibits over the years, we can separate the east wing’s layout into three main periods. From 1910 t0 1945, the exhibits were primarily under the stewardship of Charles Gilmore. 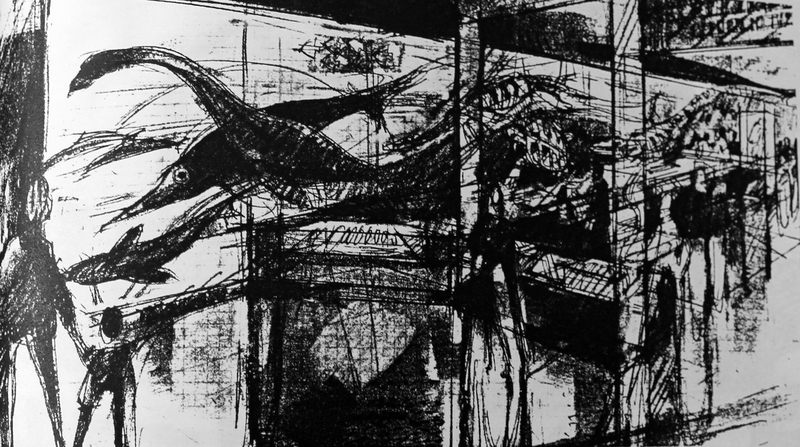 Called the “Hall of Extinct Monsters”, this iteration was somewhat haphazard in its layout and generally resembled a classic “cabinet of curiosity” approach to exhibit design. Gilmore’s version of the east wing remained in place until 1963, when the space was redesigned as part of the Smithsonian-wide modernization project. In the updated halls, there was a directed effort to compartmentalize exhibits based on the subdivisions of the Museum’s research staff, with each area of the gallery becoming the responsibility of a different curator. A second renovation was carried out in several stages starting in 1980. This version, which was open until 2014, was part of the new museology wave that started in the late 1970s. As such, the exhibits form a more cohesive narrative of the history of life on earth, and much of the signage carries the voice of educators, rather than curators. 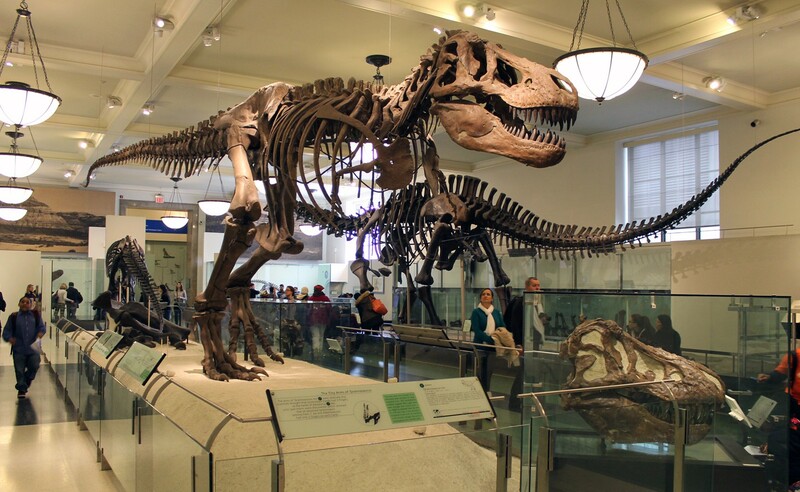 Of course, the field of paleontology has advanced by leaps and bounds since the early 1980s, and NMNH staff have made piecemeal updates to the galleries when possible, including restorations of deteriorating mounts, and additional signage that addresses the dinosaurian origin of birds and the importance of the fossil record for understanding climate change. A third renovation is currently underway and will be completed in 2019. But I’m getting ahead of myself. 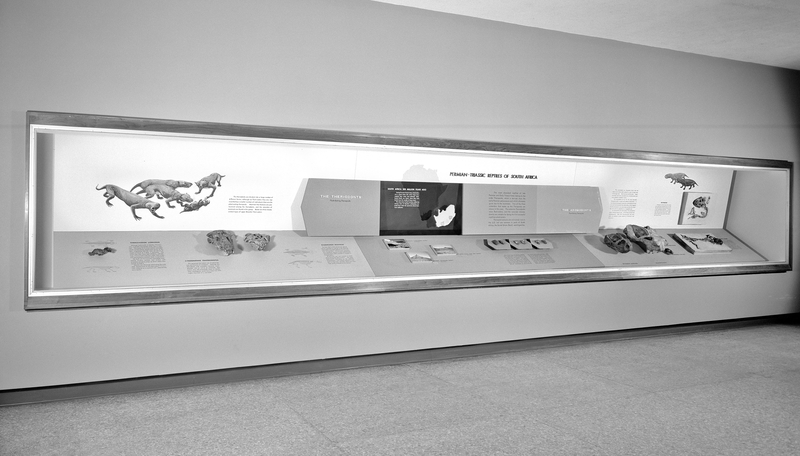 The purpose of this post is to provide an overview of the NMNH fossil halls as they stood in 1963, after the first major renovation. This iteration of the east wing was long gone before I was born, so this information is pieced together from historic photographs, archived exhibit scripts, and correspondence among the individuals involved in the modernization project (my thanks to the staff of the Smithsonian Institution Archives for their assistance in accessing these materials). Perhaps unsurprisingly, records of the dinosaur gallery are by far the most thorough. Information on the other halls is considerably harder to come by, so if any readers who saw the older exhibits in person remember any details, it would be fantastic if you could share them. 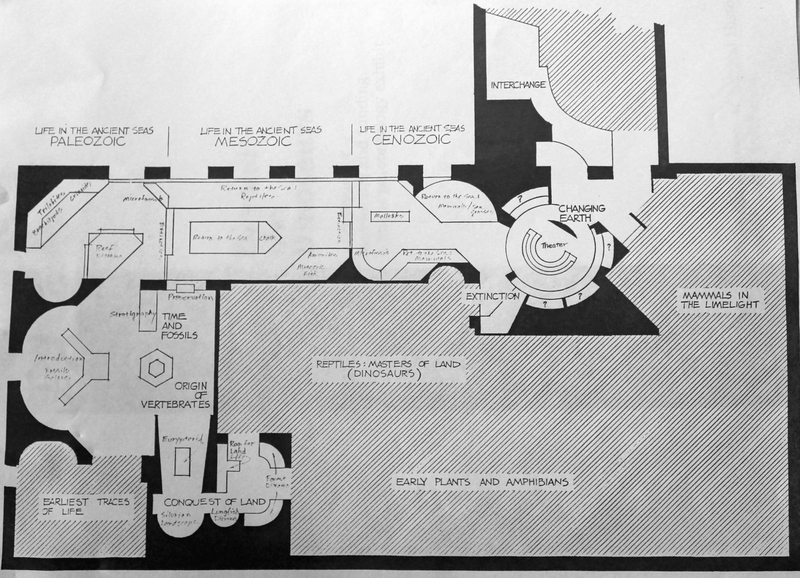 Layout of the USNM east wing, circa 1963. As mentioned, the Smithsonian underwent a thorough modernization project in the middle of the 20th century. The modernization committee, chaired by Frank Taylor (the eventual director-general of Smithsonian museums), was established in 1948. Under the committee’s guidance, most of the institution’s exhibits were redesigned between 1953 and 1963. Keep in mind that at the time, the United States National Museum was the only Smithsonian museum – it would not be divided into the National Museum of Natural History and the National Museum of History and Technology (now the National Museum of American History) until 1964. 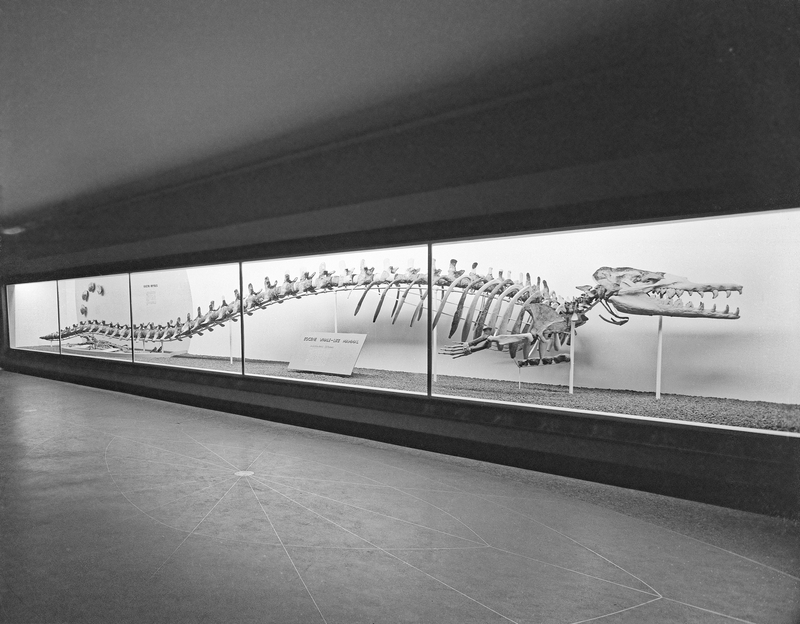 Completed in 1963, the USNM fossil exhibits were among the last to be modernized. Only a small number of specimens were added that had not already been on view in the previous version of the space – in fact, many specimens were removed. The changes primarily focused on the layout of the exhibit, turning what was a loosely organized set of displays into a series of themed galleries. 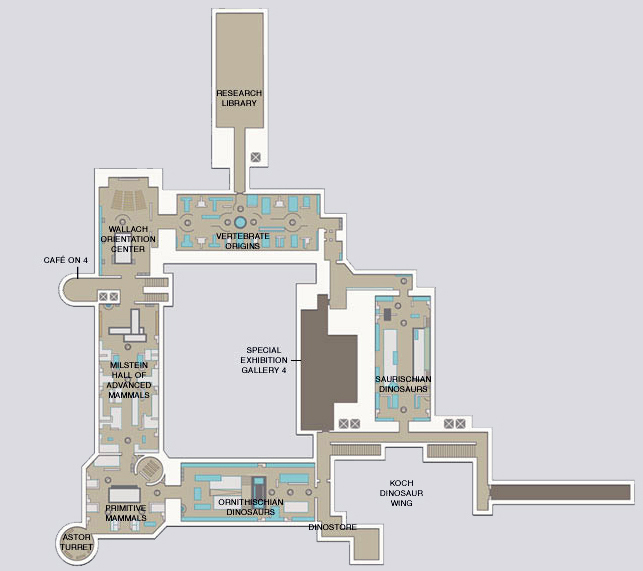 The east wing included four halls in 1963, the layout of which can be seen in the map above. Each hall was the responsibility of a particular curator. Nicholas Hotton oversaw Paleozoic and Mesozoic reptiles in Hall 2. David Dunkle was in charge of fossil fish in Hall 3. Porter Kier oversaw fossil invertebrates and plants in Hall 4. Finally, Charles Gazin, head curator of the Paleontology Division, was responsible for Cenozoic mammals in Hall 5. Each curator had a central role in selecting specimens for display and writing accompanying label copy. Echinoderm fossil display in Hall 4. Courtesy of the Smithsonian Institution Archives. Carboniferous coal swamp fossils in Hall 4. Photo courtesy of the Smithsonian Institution Archives. 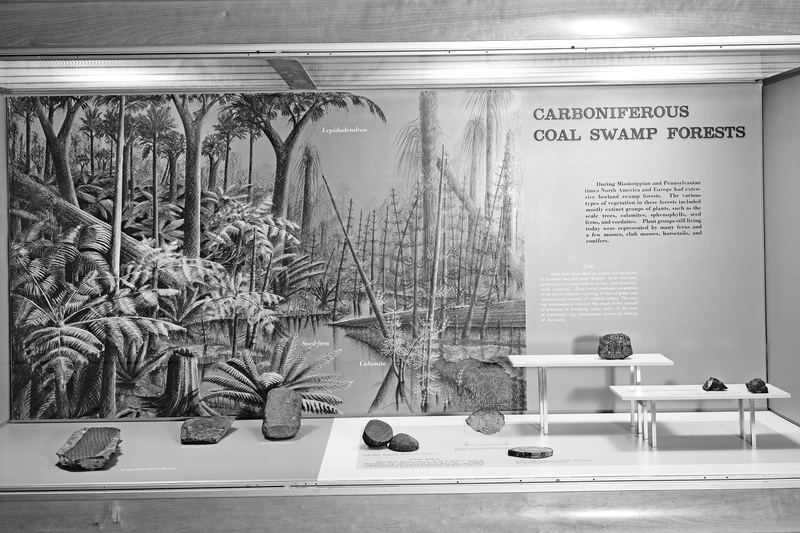 In addition to a variety of fossil specimens, Hall 4 featured a series of dioramas built by George Merchand, an exhibit specialist from Ann Arbor, Michigan. Merchand built at least 4 dioramas between 1957 and 1958, each depicting representative invertebrate marine fauna from a different Paleozoic period. Most, if not all, of these dioramas were retained during the 1980s renovation and remained on view through 2014. Fossil fishes in Hall 3. Photo courtesy of the Smithsonian Institution Archives. Fossil fish and a smattering of amphibians were located in Hall 3, on the far east side of the wing. This space would be converted into “Mammals in the Limelight” in the 1980s. David Dunkle, for whom everyone’s favorite placoderm Dunkleosteus is named, was in charge of this gallery during his tenure at USNM between 1946 and 1968. The specimens on view were arranged temporally, starting with placoderms on the south side and progressing into actinopterygians and basal amphibians on the north end. 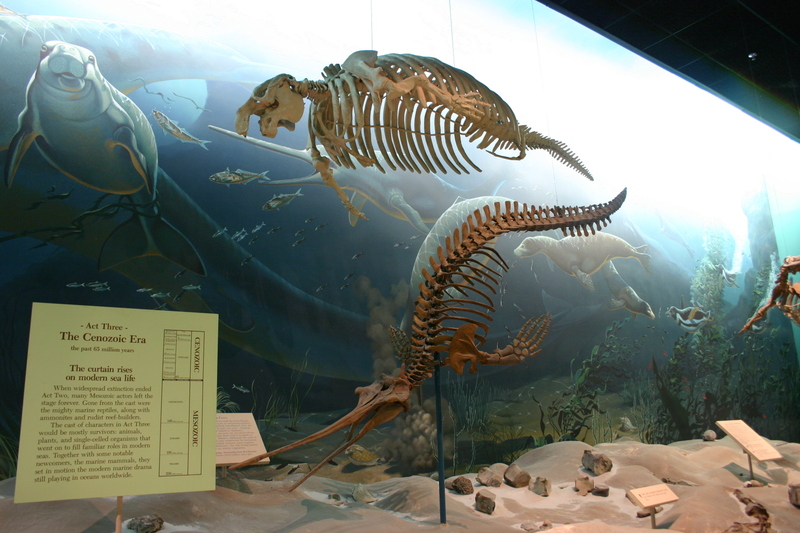 Among the more prominently displayed specimens were Xiphactinus, Seymouria, and “Buettneria” (=Koskinonodon). 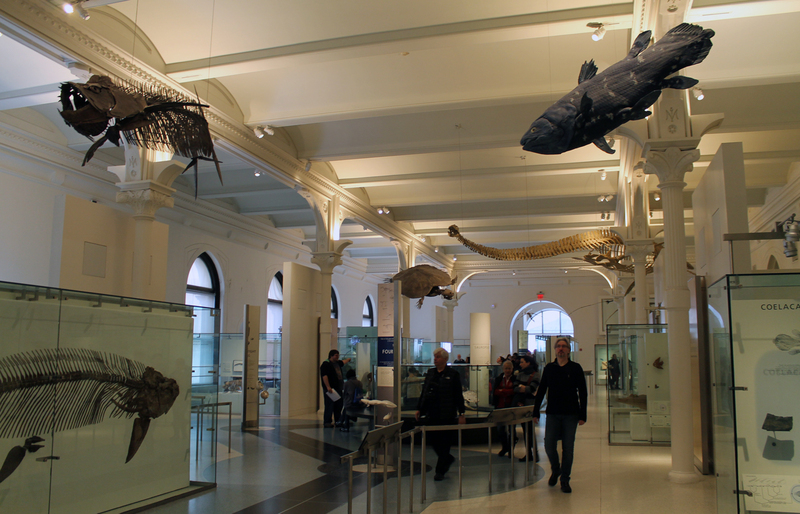 The hall also contained a replica of the recently discovered modern coelacanth, and small diorama of a Carboniferous coal swamp. 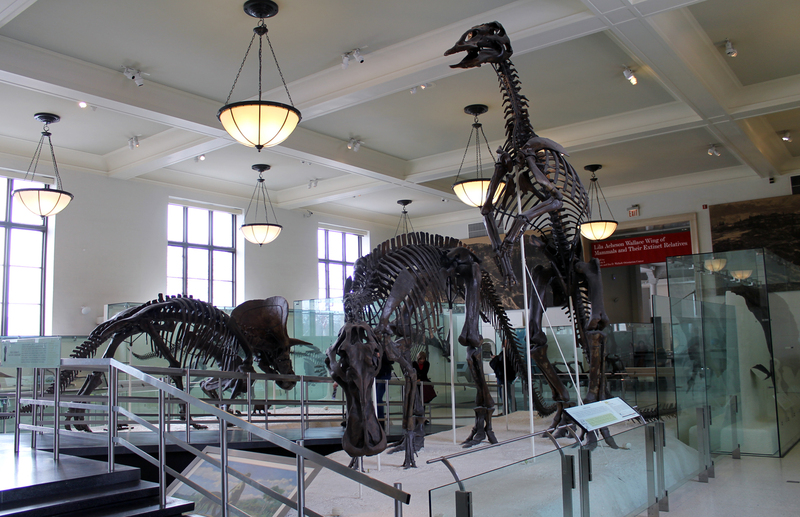 Dinosaurs in Hall 2, as seen facing west. Photo courtesy of the Smithsonian Institution Archives. Hall 2, featuring dinosaurs and other reptiles, was the main draw for most visitors. It was not, however, a major priority for the Smithsonian research staff. The museum had not had a dinosaur specialist since Gilmore passed away in 1945 and indeed, dinosaurs were not an especially popular area of study among mid-century paleontologists in general. As such, responsibility for Hall 2 fell to Nicholas Hotton, at the time a brand-new Associate Curator. Later in his career, Hotton would be best known as an opponent to the dinosaur endothermy movement, but in the early 1960s he was most interested in early amniotes and the origin of mammals. Hotton’s display of South African synapsids and amphibians. Photo courtesy of the Smithsonian Institution Archives. Perhaps due to the general disinterest among USNM curators, changes to the dinosaur exhibits were mostly organizational. 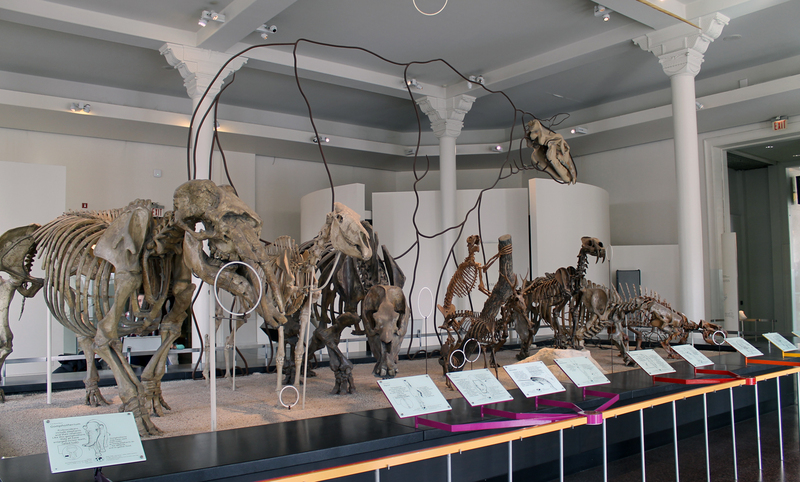 Most of the free-standing dinosaur mounts built by Gilmore and his team were collected on a single central pedestal. Preferring not to tackle the massive undertaking of disassembling and remounting the 70-foot Diplodocus skeleton, the exhibit designers left the sauropod in place and clustered the smaller moutns around it. In the new arrangement, the Diplodocus was flanked by the two Camptosaurus and prone Camarasaurus on its right and by Triceratops and “Brachyceratops“ on its left. The Stegosaurus stenops holotype, splayed on its side in a recreation of how it was first discovered, was placed behind the sauropods at the back of the platform. Close up of Thescelosaurus on the south wall. Photo courtesy of the Smithsonian Institution Archives. The north and south walls of Hall 2 were lined with additional specimens. On the south side, Gilmore’s relief mounts of Ceratosaurus and Edmontosaurus (called “Anatosaurus” in this exhibit) were joined by the gallery’s one new dinosaur, a relief mount of Gorgosaurus in a death pose. 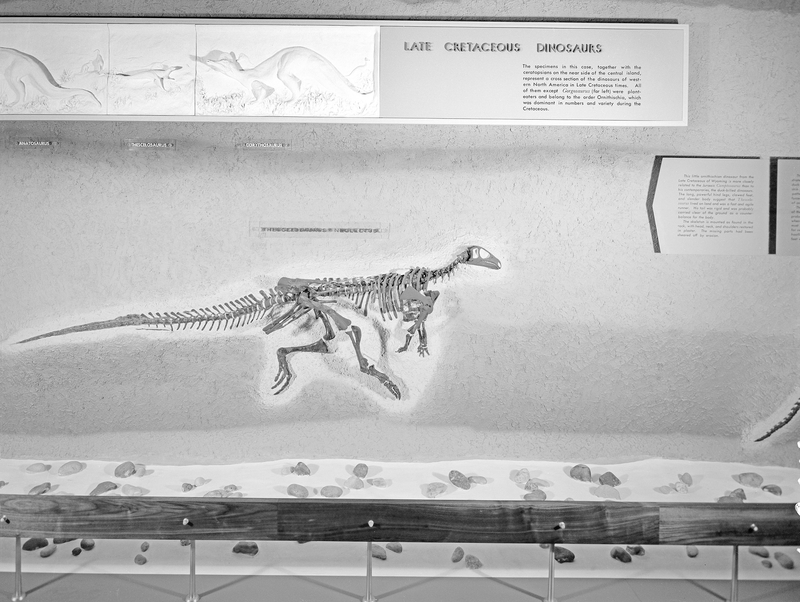 The north wall featured a long, narrow, glass-enclosed case illustrating the basics of dinosaur classification. In addition to saurischian and ornithischian pelves, the case featured skulls representing most of the major dinosaur groups. Amusingly, all but two of these skulls (Triceratops and Diplodocus) were labeled with names that are no longer considered valid. These skulls included “Antrodemus” (Allosaurus), “Trachodon” (Edmontosaurus) “Procheneosaurus” (probably Corythosaurus) and “Monoclonius” (Centrosaurus). In the southwest corner of Hall 2 (where FossiLab is today), visitors could see the Museum’s two free-standing Stegosaurus: the fossil mount constructed by Gilmore in 1913 and the charmingly ugly papier mache version, which had received a fresh coat of paint. 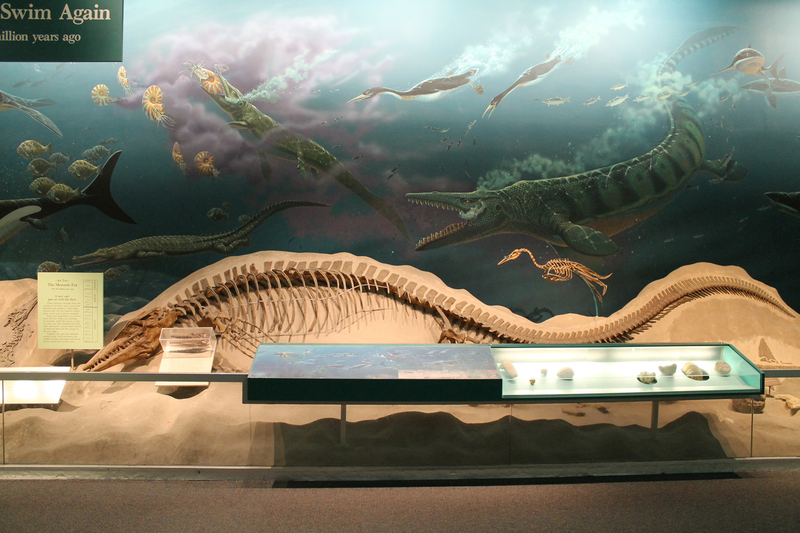 Finally, the rear (east) wall of Hall 2 held Gilmore’s relief mounted Tylosaurus. Brontotherium and Matternes’ Oligocene mural in Hall 5. Photo courtesy of the Smithsonian Institution Archives. Basilosaurus and Cenozoic reptiles in Hall 5. Photo courtesy of the Smithsonian Institution Archives. Nevertheless, Gazin’s interest in Cenozoic mammals ensured that his gallery was exceptionally thorough. 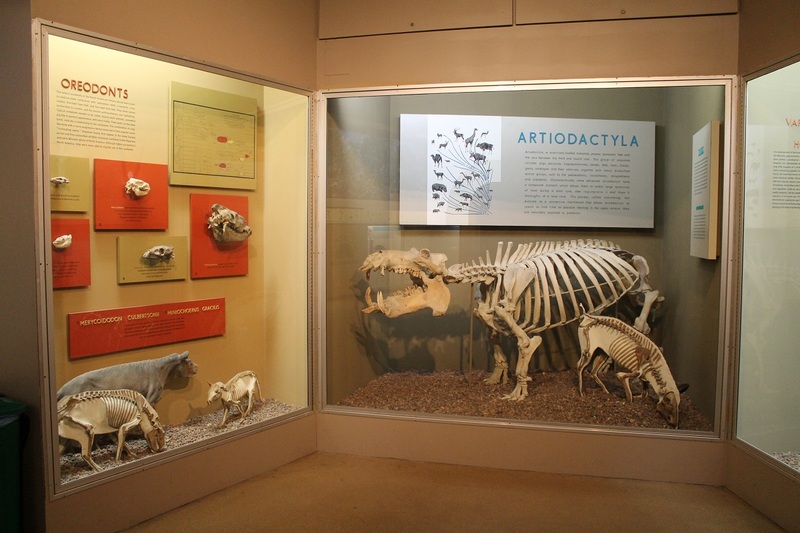 Thanks to Gazin’s own collecting expeditions throughout the 1950s, the new fossil mammals galleries contained representatives of nearly all major mammal groups, from every epoch from the Paleocene through the Pliocene (the Pleistocene was deliberately excluded, as a separate ice age exhibit was also in the works). Classic mounts from the Gilmore era like Basilosaurus and Teleoceras were joined by dozens of less showy specimens like rodents, small perissodactyls, and early primates. 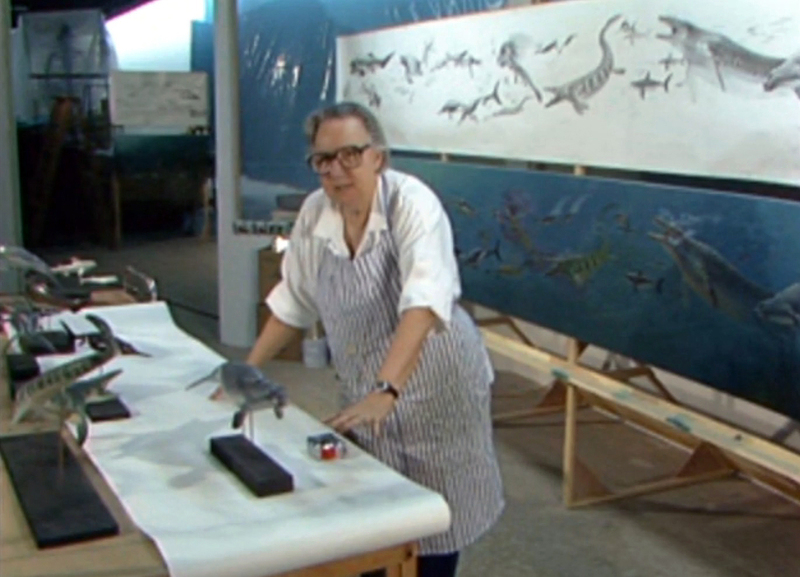 The new exhibit also introduced the first wave of Jay Matternes’ much-beloved murals, illustrating the changing flora and fauna in North America over the course of the Cenozoic. 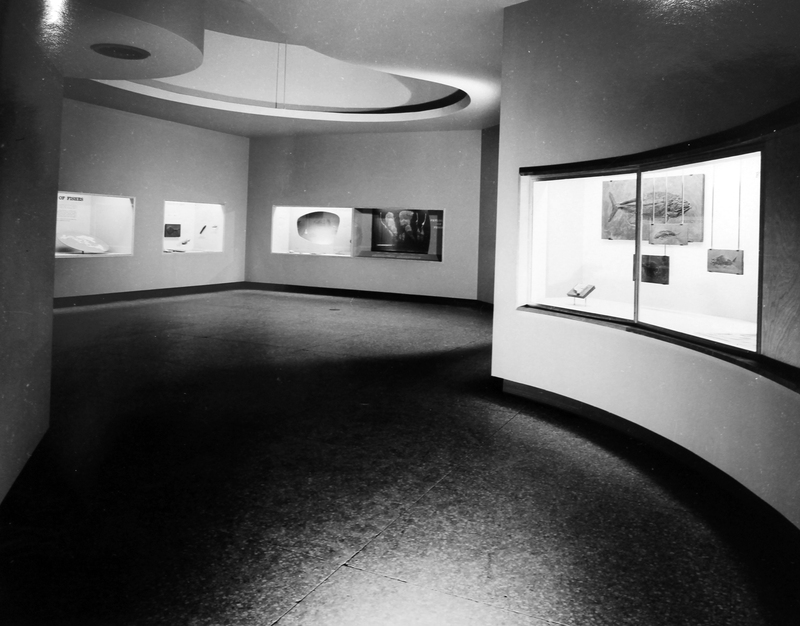 The new east wing galleries officially opened on June 25, 1963. According to the press release, “the new exhibit features in colorful and dramatic settings more than 24 skeletons and skulls of the largest land animals the world has ever known.” The exhibits were officially unveiled with a late afternoon ceremony, in which Carol Hotton (Nicholas Hotton’s daughter) cut the ribbon and the lights to Hall 2 were suddenly turned on to dramatic effect. Unfortunately, the new exhibits were not universally loved by the museum staff. The wing had been planned a set of compartmentalized exhibits, each corresponding to a subdivision of the Division of Paleontology, with a different curator taking responsibility for each hall. While seeming sensible on paper, this plan turned out to be a logistical nightmare, and a common cause for complaint among Division staff for the next decade. 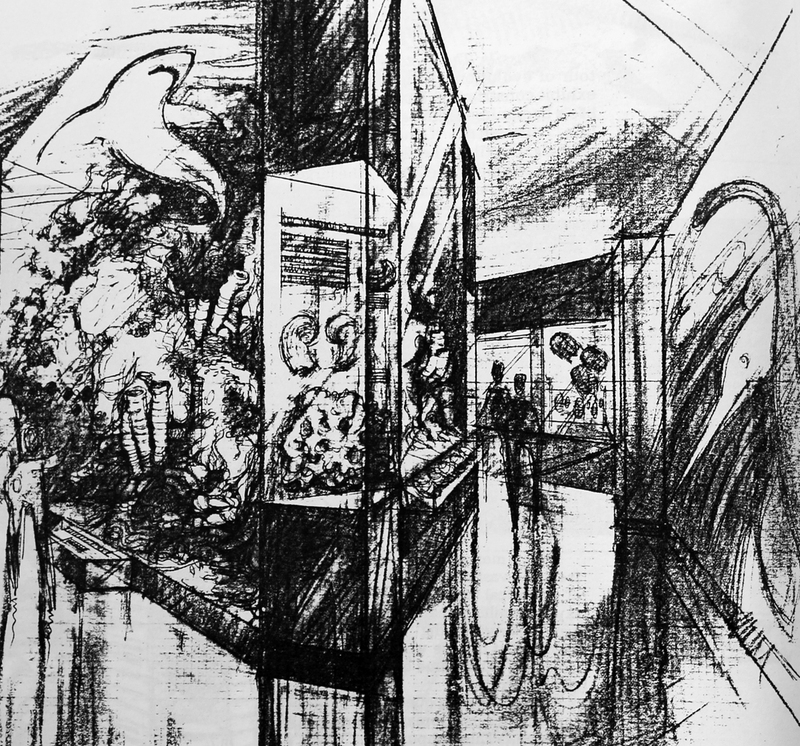 In addition, Gazin in particular voiced concerns as early as January 1964 that the design of the new halls was entirely inadequate for preventing accidental or deliberate damage to specimens by visitors. The mounts in Hall 2 were raised only about a foot off the ground, and were not protected by any sort of guard rail or barrier. As a result, within a few months of the exhibit’s unveiling, several ribs and vertebral processes had been broken off or stolen from Camarasaurus, Gorgosaurus, Ceratosaurus and others. With the notable caveat that I never saw the 1963 exhibits in person, I would say that this is aesthetically my least favorite iteration of the east wing. The grandiose, institutional Greco-Roman architecture originally displayed in the Hall of Extinct Monsters was replaced with what can only be described as extremely 1960s design. Solid earth-tone colors, wood paneling and wall-to-wall carpeting gave the halls a much more austere character. While the efforts to categorize specimens into thematic zones was commendable for a museum of that era, the label copy (written by the curators) was still highly pedantic and verbose. As such, the 1963 fossil halls seem to have been very much of their time. While the designers were working to avoid the overt religiosity and grandeur of turn of the century museums, they had not yet reached the point of developing truly audience-centered educational experiences. The result was an exhibit that was humble, yet still largely inacessible. 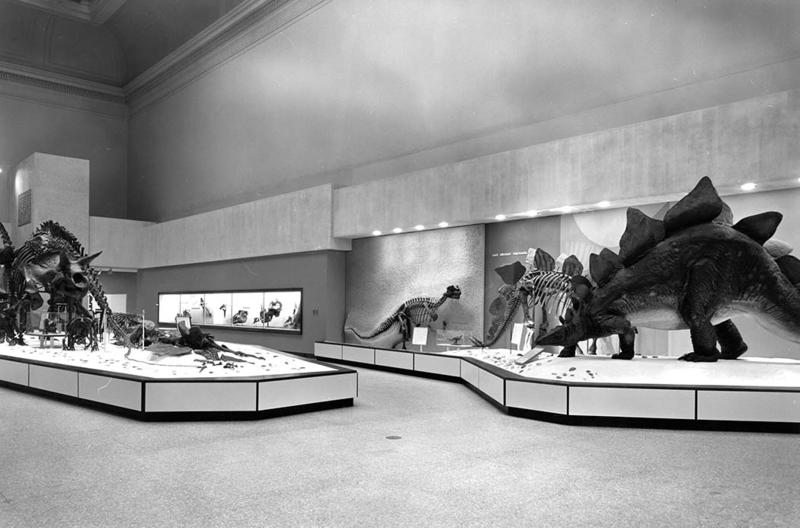 Perhaps for this reason, the 1963 fossil halls were the shortest-lived at NMNH to date, being replaced within 20 years of their debut. This post was updated and edited on January 8, 2018.